The Commercial Court in Accra has ordered Silver Star Auto Limited, dealers of Mercedes Benz cars to give a brand new Mercedes Benz (E-Class) to G.A. 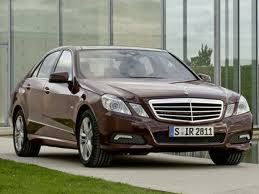 Sarpong & Co. Ltd as a replacement for a damaged Benz saloon car. In the alternative Silver Star, as defendants would, refund the sum of 48,000 Euros being the purchase price of the damaged car with registration GN 2266 Y to the plaintiff, G.A Sarpong & Co. The court, presided over by Justice Henry A. Kwofie however did not order Silver Star to pay any compensation to the plaintiff but awarded GH¢ 4, 000 against the defendant. G.A. Sarpong & Co filed the suit claiming, among other things, damages for breach of condition and deceit which the defendants vehemently denied. The plaintiff’s case is that in February 2007, it purchased a brand new Mercedes Benz 180 C-Class saloon from Silver Star Auto Ltd for one of its officers and was covered by a two-year warranty, stating that sometime in July 2007, the head gasket of the said C-Class got cracked and the plaintiff duly informed the defendant. By reason of the trade-in arrangement, the plaintiff surrendered the C-Class to the defendant and also paid the defendant 15,000 Euros, representing the difference between the price of the C-180 and the E-Class which was delivered on December 12, 2007. The plaintiff said in 2008 during the rainy season the car, which was being driven by its Director, G. A. Sarpong suddenly stopped in the middle of the road at East Legon in Accra and had to be pushed out of water that had flooded the street and subsequently notified Silver Star, which took the car to the workshop and repaired it at a cost of GH¢ 7, 498. 77. The plaintiff said they used the car after the repair works until December 1, 2008 when it developed another fault on the Korle-Bu Mortuary road. The plaintiff was later notified by the defendant through their insurers that the engine of the car was irreparably damaged and had to be replaced, adding that the defendant, under the two-year unlimited warranty under the purchase agreement must provide the plaintiff with a brand new replacement E-Class at no cost to the plaintiff. The defendant, in response, said the two vehicles were sold to the plaintiff under the manufacturers’ standard warranty which provided that all rectifiable defects that occur within two years of the purchase of the vehicle and not occurring through the negligence or default of the plaintiff would be rectified by the defendant at no cost to the plaintiff. The defendant said the initial repair of the car was not covered by warranty provisions as the vehicle stopped solely because it had been driven into a flooded ditch that caused part of the engine to be submerged in water thereby causing the engine to stop with extensive damage. The case then went to full trial after the parties failed to settle the matter at the pre-trial settlement conference. The court held that the period of 12 months was not unreasonable and that the plaintiff is entitled to a brand new E-Class as replacement for the damaged car. Meanwhile, Silver Star Auto Limited has filed an appeal against the judgement and the court is yet to fix a date for hearing.